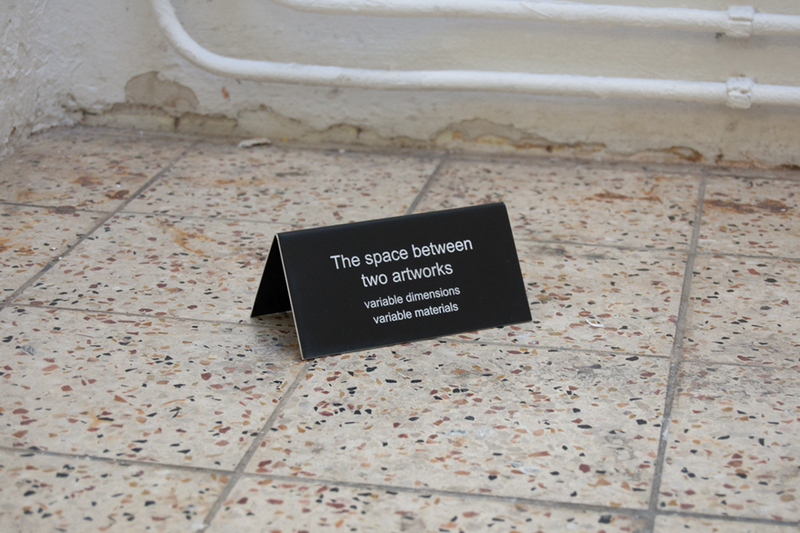 A small (15 x 7,5 x 7,5 cm) ‘reserved’ table-sign marks a space in a room, claiming it as the space between two artworks and by doing so labeling the objects surounding it as “artworks”. Yet while trying to mark the space between, the object denies it’s own existence as an artwork. Aproaching this object as an artwork and placing it between two others (let’s say object A and B), would in fact break the existing space between A and B. This work was produced in an edition of 10 numbered copies.